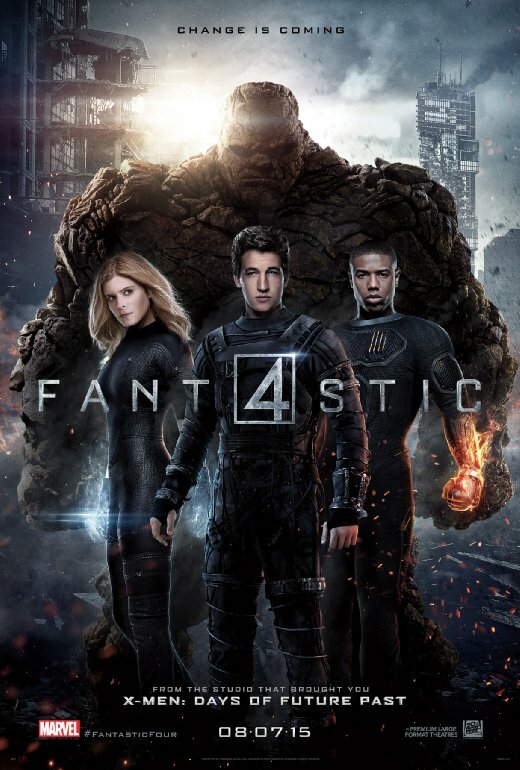 FANTASTIC FOUR's Two Newest and Last Trailers? Any way, he did a great job with Chronicle and I suspect the similar kind of effort will put forth here, no matter what the state of affairs was behind the scenes. Miles Teller plays Reed Richards (Mr. Fantastic), Kate Mara is Sue Storm (The Invisible Woman), Michael B. Jordan is Johnny Storm (The Human Torch) and Jamie Bell plays Ben Grimm (The Thing). Toby Kebbell will play the usual bad guy to the FF group, Doctor Doom. HINT: If you only have a few minutes, watch #2. It has most of the same stuff as #3, but has a bunch more new stuff. Which is odd. You'd think #3 would have more new stuff.